Mindless Margin - Make 100 to 200 calorie changes in your daily eating, and you will not feel deprived and backslide. Practice Mindless Better Eating - Focus on re-engineering the small behaviors that will move you from mindlessly overeating to mindlessly eating better. Practice Mindful Re-engineering - To cut back your mindless margin, use food trade-offs (I can have dessert, if I have exercised, or if I really want it after I have finished my meal. Pause and think! Also develop Food Policies like: I will serve myself 20% less, never eat at my desk, have a muffin on Saturday, and eat only half size desserts. These food policies allow you the chance to eat what you love without the labored decisions. Practice the Power of Three: Choose 3 easy changes that you can mindlessly make, without a lot of sacrifice. 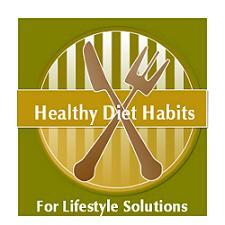 If you choose 3 ways to save 100 calories per day, you will lose 30 pounds this year, and develop healthy diet habits. Only serve vegetables family style.